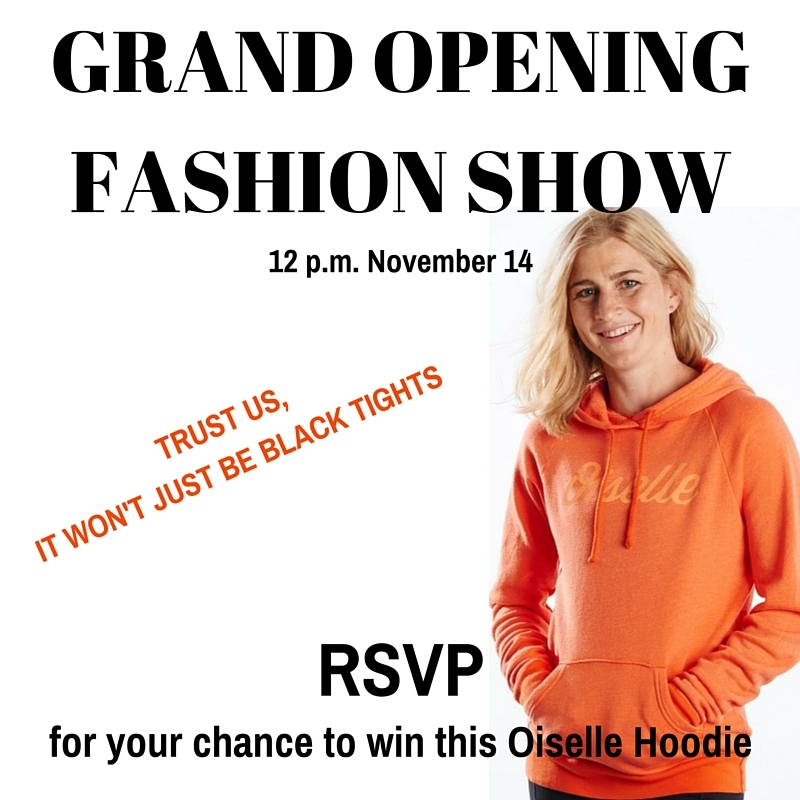 RSVP for our Grand Opening Fashion Show for a chance to win a Oiselle Hoodie! Registration is not required to attend the event, but is necessary to win prizes. Regular store business will continue as normal during the event.